Perfection in pink. 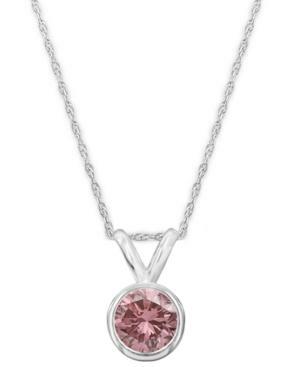 A round-cut, bezel-set pink diamond (1/4 ct. t.w.) shines in a luminous 14k white gold setting. Approximate length: 18 inches. Approximate drop: 1/3 inch. Diamond Interlocking Pendant In 14k White Gold, .05 Ct. T.w.